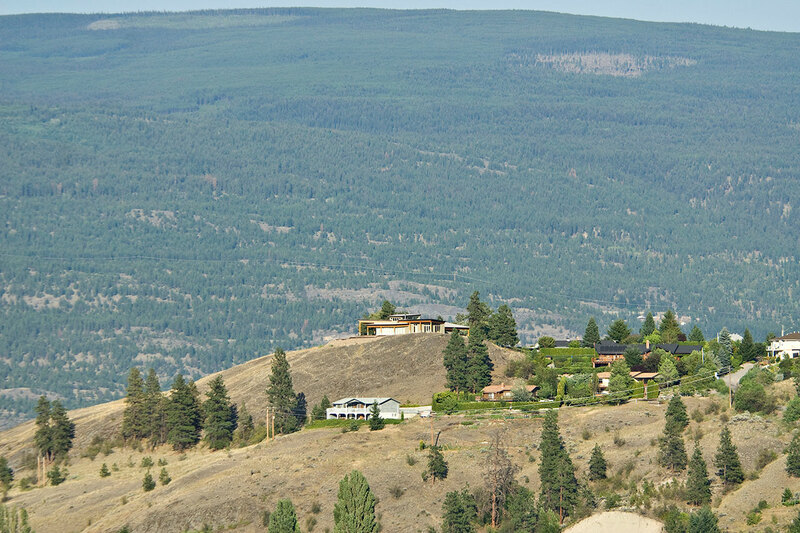 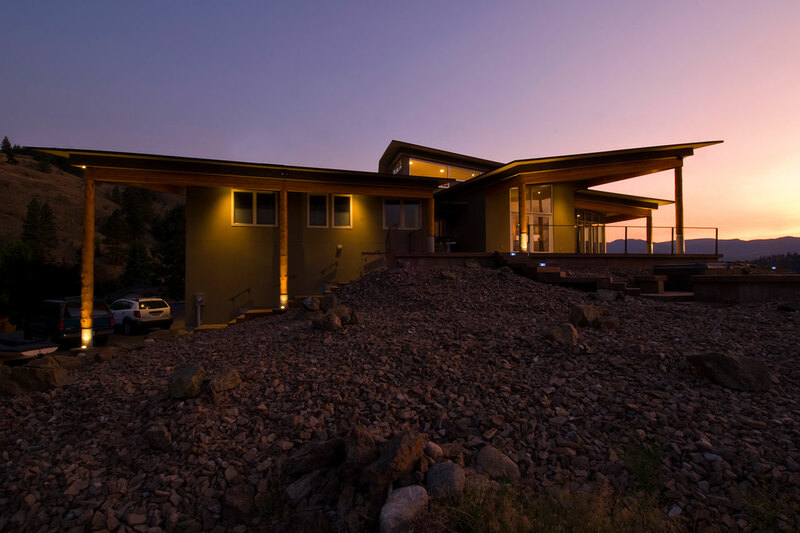 A 4,200-square-foot addition is built to wrap around the original two-storey home on this hilltop outcrop, and the original home has been converted into a guest suite. 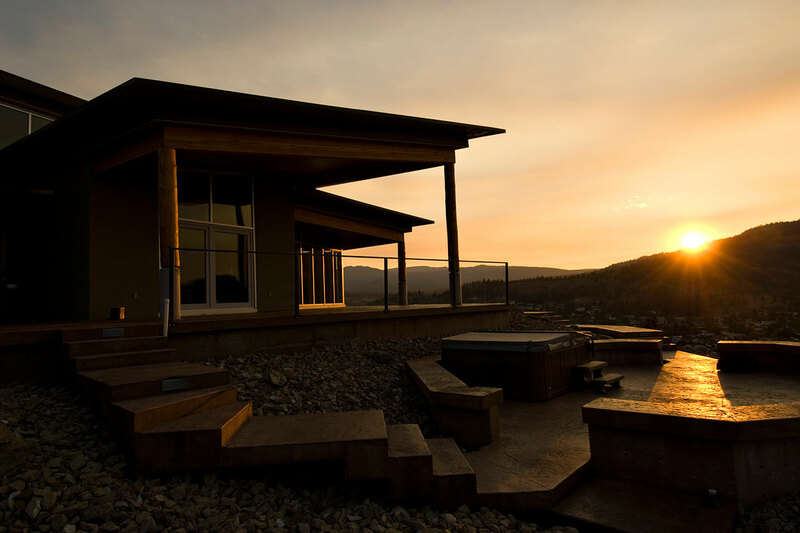 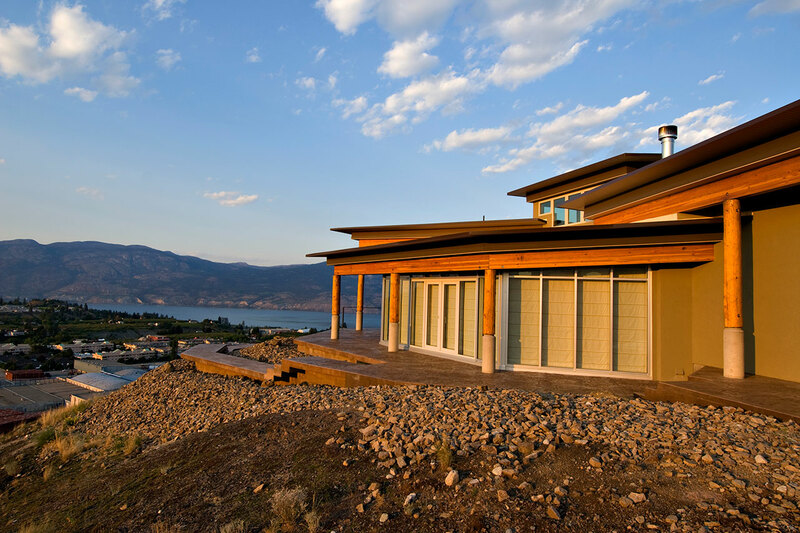 The new construction maximizes a 270-degree view of the Okanagan Valley, and is heated with a geothermal exchange system drilled into bedrock. 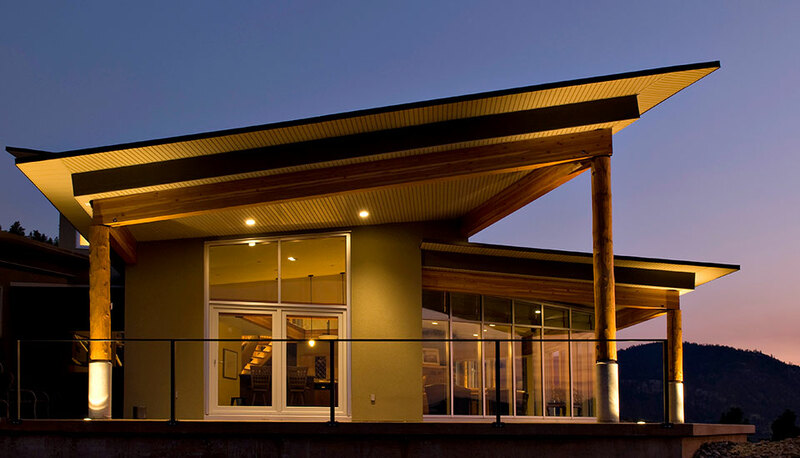 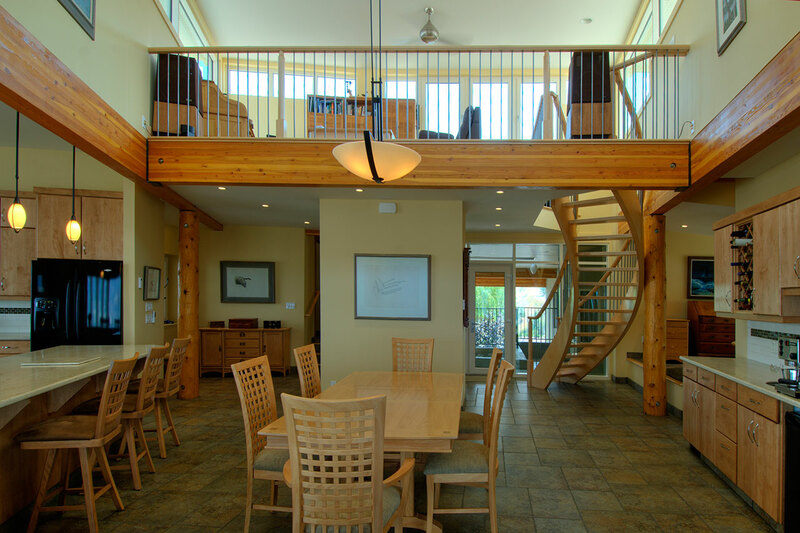 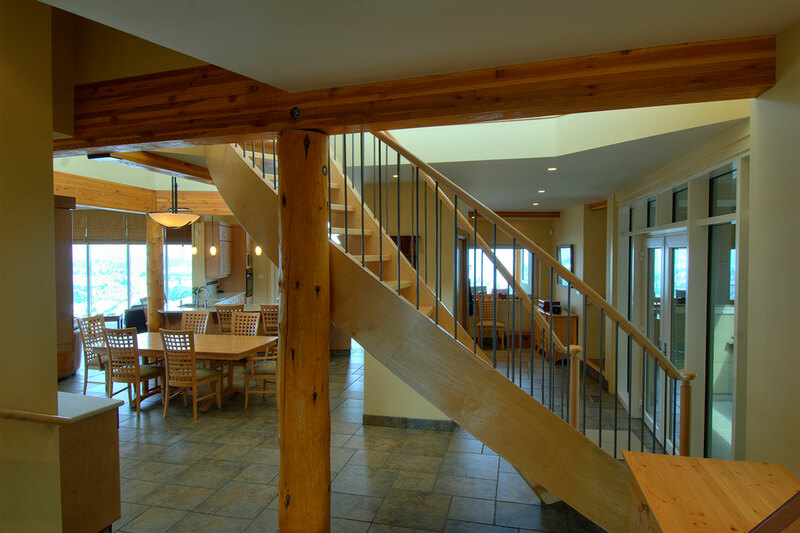 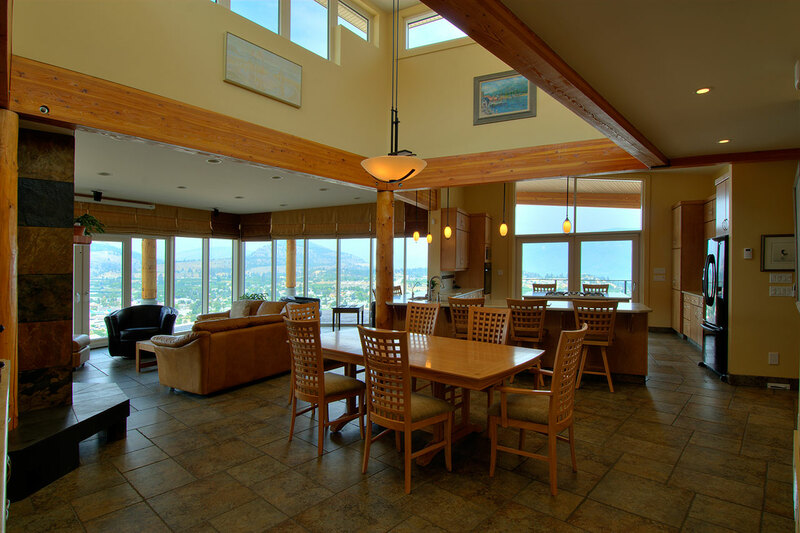 Both the existing home and new construction are insulated with a double-stud wood frame wall.